In The Struggle for Equality, the renowned Civil War historian James McPherson offered an important and timely analysis of the abolitionist movement and the legal basis it provided to the civil rights movement of the 1960s. This work remains an incisive demonstration of the successful role played by rights activists during and after the Civil War, when they evolved from despised fanatics into influential spokespersons for the radical wing of the Republican party. The vivid narrative stresses the intensely individual efforts that characterized the movement, drawing on letters and anti-slavery periodicals to let the voices of the abolitionists express for themselves their triumphs and anxieties. 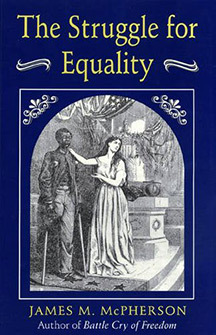 Asserting that it was not the abolitionists who failed in their efforts to instill the principles of equality on the state level but rather the American people who refused to follow their leadership, McPherson raises broad questions about the obstacles that have long hindered American reform movements in general. James M. McPherson is the George Henry Davis Professor of History Emeritus at Princeton University. He has published numerous volumes on the Civil War, including the Pulitzer Prize-winning Battle Cry of Freedom, Crossroads of Freedom (which was a New York Times bestseller), Abraham Lincoln and the Second American Revolution, and For Cause and Comrades: Why Men Fought in the Civil War, which won the Lincoln Prize.